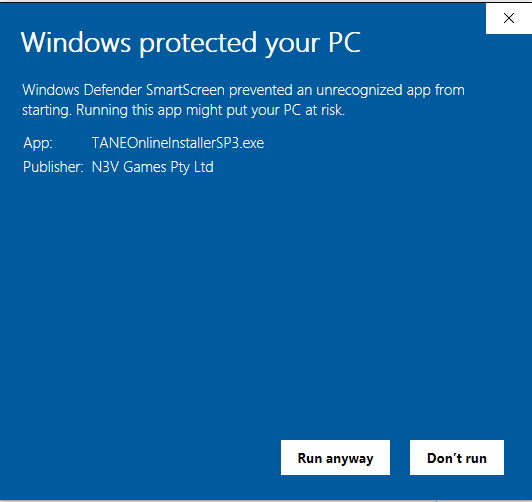 Even though N3V Games is a "Trusted Developer" with Microsoft, this message may appear until a sufficient number of people have installed the application. 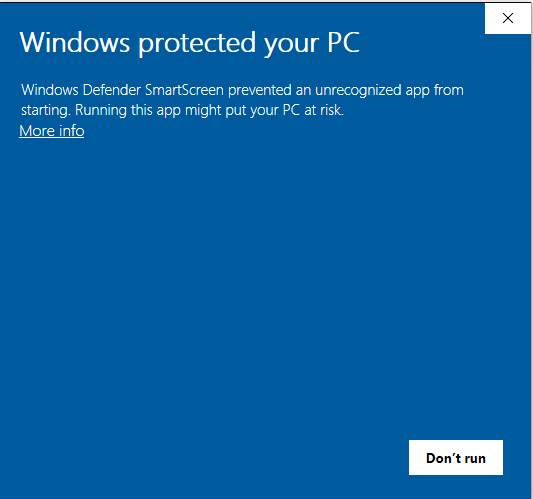 The message is: "Windows Defender SmartScreen prevented an unrecognized app from starting. Running this app might put your PC at risk." Step 2: Click Run Anyway.